Gumbo: Government shutdown: Will the quails get their cocaine? 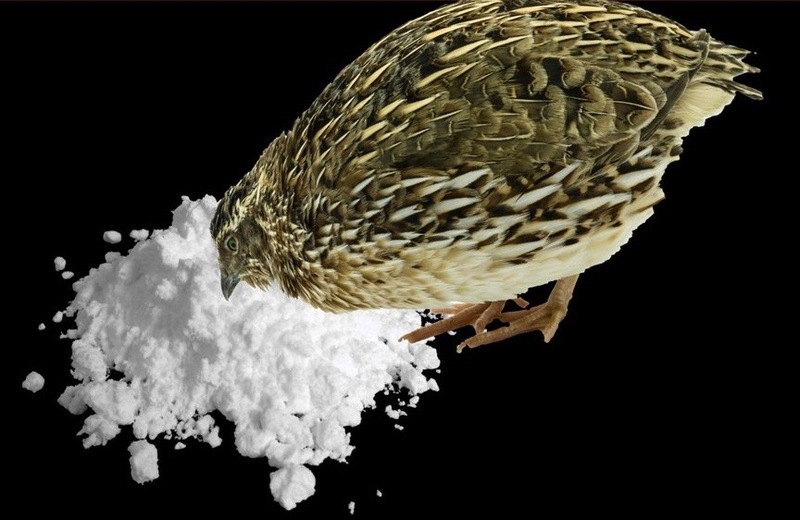 Government shutdown: Will the quails get their cocaine? This is Day Five of the federal government shutdown. Have you noticed? I haven't either. I think it can only be a good thing. Someone somewhere will die, and they will blame it on the shutdown. They will blame global warming on the shutdown. Freezing blizzards on the shutdown. They will blame tornadoes, hurricanes, and Kevin Hart’s tweets on the shutdown. They will blame the Trump Filibuster for Michael Moore gaining weight and for Ocasio-Cortez being unable to remember whether she was elected to Congress, the Senate, or the New York State Assembly. But it all will be stuff and nonsense. None of it matters. Every three minutes on Fox, there will be a loud clang followed by “Fox News Alert.” Even Fox aficionados long ago learned to tune those out; they never amount to anything. Here's why this is a good thing. The federal government has added another $1,370,760,684,441.54 to the debt since last December 25. The Christmas-to-Christmas increase in the debt equals approximately $10,743.82 per household. Democrats are increasingly lining up to support a “Green New Deal,” which, while vague on details, could end up being the largest expansion of government in decades. The goals include moving the U.S. to 100 percent green energy, federal job guarantees for workings forced out of their fossil fuel jobs, guaranteed minimum income and universal health care. Nineteen million public employees cost taxpayers nearly $1 trillion. Last year, we found 1.7 million public employees earned $100,000 or more. The vast majority – 1.3 million six-figure earners – worked at the state and local levels. There were 105,000 local and state government employees out-earning every governor of the 50 states at a salary of $190,000 or more. State and local government employee total compensation is now 47 percent higher than for private-sector employees. Federal bureaucrats make 78% more in total compensation than people in the private sector. Combined with laws that make it extremely difficult to fire public employees, even for explicit or criminal misconduct, it's no wonder that hardly anyone leaves. The five richest counties in the United States when measured by median household income are all still suburbs of Washington, D.C. The IRS spent $20 million last year on private debt collection, and managed to raise … almost $7 million. Tell me about your shutdown.